In one exchange AEG's Randy Phillips wrote his boss that Jackson was "an emotionally paralyzed mess." The Times said the messages will probably play a key role in two lawsuits set for trial next year. Promoters of Michael Jackson's planned 2009 comeback described in emails how they feared for the megastar's stability, saying he was out of shape and consumed with self-doubt. The Los Angeles Times obtained some 250 pages of messages, most between executives at Anschutz Entertainment Group, which was financing the ill-fated "This Is It" concerts set for London. Some of the emails indicated that executives were concerned that Jackson's planned 50-show stand at AEG's 02 Arena would be an expensive bust. In one exchange AEG's Randy Phillips wrote his boss that Jackson was "an emotionally paralyzed mess." Phillips was writing from Jackson's London hotel suite just hours before a press conference announcing the concert run. 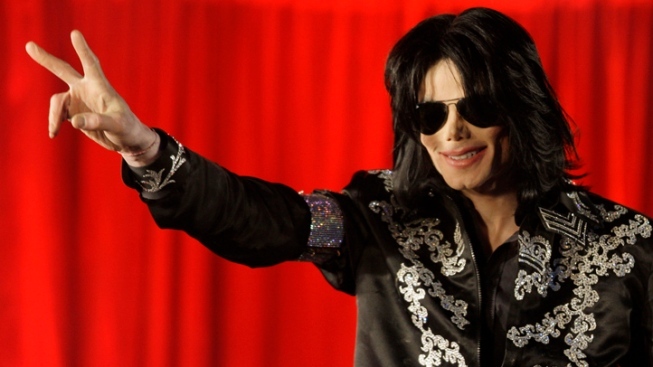 "MJ is locked in his room drunk and despondent," Phillips said in an email to AEG President Tim Leiweke. "I (am) trying to sober him up." In the end, the emails show, Phillips and Jackson's manager had to dress the pop star, the Times said. "He is scared to death," Phillips wrote to Leiweke. Jackson arrived 90 minutes late for the press conference and made brief remarks that some of the 350 reporters described as odd and disjointed. In an interview with the newspaper, AEG's attorney Marvin Putnam suggested Phillips had exaggerated in his emails and said Jackson's behavior appeared to be a case of "nerves." The Times said the messages will probably play a key role in two lawsuits set for trial next year. The shows' insurers are asking a judge to nullify a $17.5-million policy that they say AEG got with false claims about Jackson's health and readiness to perform. And Jackson's heirs filed a wrongful-death suit that accuses the entertainment giant of pressuring the singer to carry on with a comeback despite indications he was too weak. Lawyers for AEG, which has denied any wrongdoing, told the Times most of the correspondence was produced as discovery in ongoing litigation. They said the messages reviewed by the newspaper were incomplete and leaked to portray the company in a negative light. The lawyers declined to provide additional emails that they said would give a fuller picture, citing a protective order imposed by a judge in the civil litigation. Numerous emails show Lloyd's of London unsuccessfully pushing for access to five years of Jackson's medical records in order to expand insurance coverage for the concerts. The insurer also wanted the singer to undergo a four-hour medical exam that would include three doctors, heart monitoring and blood work. AEG's insurance broker tried to persuade Lloyd's to drop the physical, according to the email discussions. AEG suggested that Jackson's physician, Dr. Conrad Murray, could give an oral recitation of Jackson's recent medical history instead, the Times reported. Lloyd's refused. A Lloyd's underwriter wrote that repeated requests for written records and details about Jackson's daily fitness program were met "always with no response." Murray responded to the last of the requests June 25 at Jackson's Southern California home, according to emails presented at the doctor's criminal trial. He wrote that he had talked to Jackson and "Authorization was denied." Jackson died less than an hour later, according to a timeline Murray gave investigators.